149 members of the Upper House voted in favour of 'The Constitution (One Hundred and Twenth-Four Amendment) Bill, 2019' while 7 members voted against it. New Delhi: A day after getting Lok Sabha nod, the Bill, which seeks to provide 10 per cent reservation in jobs and educational institutions to economically weaker sections in the general category, was passed by the Rajya Sabha on Wednesday. The Bill will now need the President’s signature for further implementation. Of the 172 members present in the House, 165 members voted in favour of ‘The Constitution (One Hundred and Twenth-Four Amendment) Bill, 2019’ while 7 members voted against it. Also, 155 Rajya Sabha members rejected the motion to send the amendment bill to select committee for review. Prime Minister Narendra Modi expressed his happiness on the passage of the bill. “Delighted the Rajya Sabha has passed The Constitution (One Hundred And Twenty-Fourth Amendment) Bill, 2019. Glad to see such widespread support for the Bill. The House also witnessed a vibrant debate, where several members expressed their insightful opinions,” he tweeted. “Passage of The Constitution (One Hundred And Twenty-Fourth Amendment) Bill, 2019 in both Houses of Parliament is a victory for social justice. It ensures a wider canvas for our Yuva Shakti to showcase their prowess and contribute towards India’s transformation,” he said. “By passing The Constitution (One Hundred And Twenty-Fourth Amendment) Bill, 2019, we pay tributes to the makers of our Constitution and the great freedom fighters, who envisioned an India that is strong and inclusive,” the PM added. Despite expressing their reservations over the bill and questioning its timing, key opposition parties, including the Congress, SP and BSP said they support the Quota Bill. Before the voting, the almost 10-hour long debate in the Rajya Sabha over the general category reservation bill saw the Congress and other opposition parties slammed the ruling BJP saying the government was playing election “politics”. They said it was a disrespect shown to the Indian democracy’s highest institution. The bill was introduced in the Upper House amid din following protests by the opposition which demanded it be sent to a select committee for scrutiny. Senior Congress leader Kapil Sibal questioned the timing of the bill coming ahead of the Lok Sabha elections, and said that it faces three major hurdles – “non-application of mind, constitutionality and implementation”. “How many people have 5 acres of land, 100 yard plot, 1,000 sq ft house. Have you collected any data? It took 10 years to implement the Mandal Commission report (on reservation to SC/ST). Now you want to pass the bill in a day without any data,” he said. “This is like demonetisation. This another jumla. 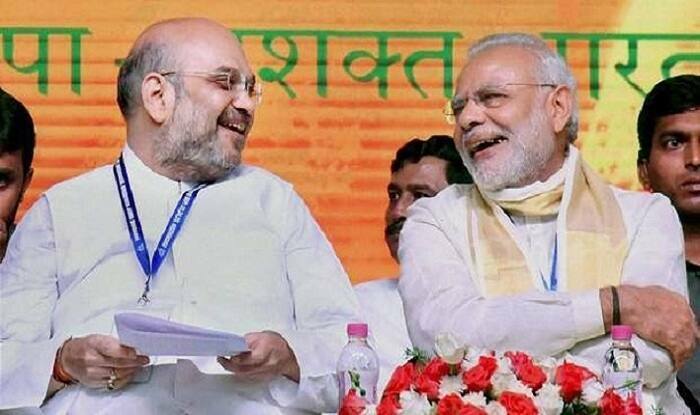 Kamal ka amla, ek aur jumla,” he said. Law Minister Ravi Shankar Prasad told the Rajya Sabha that 10 per cent reservation to poor in the general category will be applicable to jobs in both central and state governments. The decision is seen as the biggest electoral card by the Narendra Modi government since its formation in 2014, which comes months ahead of the Lok Sabha elections. The move comes a times when the BJP has lost three crucial states – Chhattisgarh, Madhya Pradesh and Rajasthan – at the hands of the Congress in the recently-concluded assembly polls and is facing the challenge of the proposed grand alliance by anti-BJP parties. 155 Rajya Sabha members rejected the motion to send the amendment bill to select committee for review. The Bill has fixed an annual income of less than Rs 8 lakh and not owning more than five acres of agricultural land as criteria.